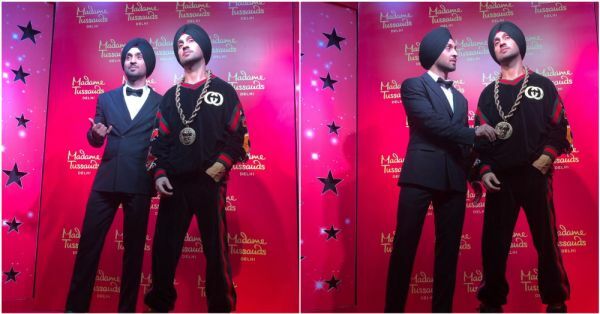 Diljit Dosanjh, the Punjabi sensation who has given us beautiful songs like Ikk Kudi, Proper Patola and Do You Know, unveiled his wax statue at the Madame Tussauds, New Delhi yesterday. He shared the news with his fans on Instagram. There is a strong resemblance between him and his wax figure, which sports black and red casuals with a huge neck piece and a black turban. Interestingly, it is the first turbaned figure in Madame Tussauds Delhi. He had shared an incident about how he's always wanted to visit Madame Tussauds London, but hasn't been able to. He said, "There was a long line. I was in London for a day so couldn’t find the time. I tried again but the attempts were not successful." Diljit added, "Forget about having a wax figure here, I had almost given up hope of even entering Madame Tussauds." Do you which actress' wax figure would he like to be next to his statue? He quickly responded to this question as expected, "Kylie Jenner." Don't we all know about his love for Kylie? Last year, Diljit shared the news about his wax statue on Instagram. He captioned it the picture as "Finally Yeh Din Bhi Aa Gaya 😊🙏 @madametussaudsdelhi #Madamtussauds"
Check out how Twitter reacted to his statue. 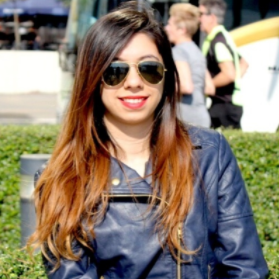 Omg looking same not like a statue ditto diljit g congrates. We all Love ❤️ You and are proud of you..
Diljit began his singing career by performing at the local gurudwaras. And today, the nation is humming to his tunes. The actor has been a leading man in Punjabi cinema and has given some great performances in Jatt & Juliet, Punjab 1984, Sardaar Ji, Ambarsariya and many others. He made his Bollywood debut with Udta Punjab and made a place for him in Bollywood as well. Today, he a successful singer and actor in both Punjabi movies and Bollywood.